Home / Technology and Gadgets / iPhone SE why go for a more compact model? 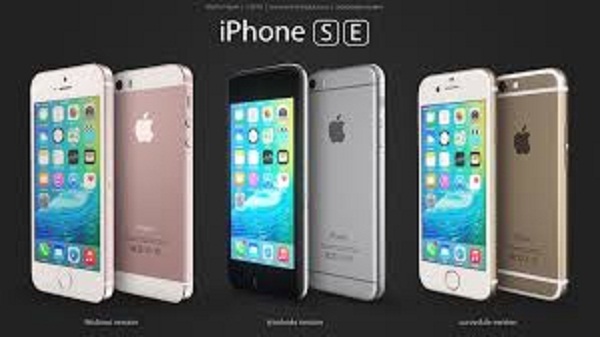 iPhone SE why go for a more compact model? The new model smartphone will have a 4 – inch screen (under the 4.7 – inch iPhone 6 and 5.5 – inch large iPhone 6 Plus, which launched a year and a half) and goes on sale for $ 399 dollars. It is three times faster than the iPhone 5S as indicated by the vice president of Apple , Greg Joswiak, during the presentation of the new contraption that took place at the headquarters of the same company in Cupertino, California. “It’s the phone four inches world’s most powerful”, said Joswiak, who also said that many consumers now prefer smaller appliances. Some are experts who say that, with this much Apple wants to strengthen its position in emerging markets such as China and Latin America. Now we will explain the keys to the iPhone and why this new model might be interesting for you. With four inches, this new iPhone screen is exactly the same size as the previous iPhone 5, ie the previous generation at 6 and 6S. This model includes a few features that did not have the iPhone 5c and 5s, but they do have the iPhone 6 with larger screens. In conclusion, the new model features the famous fingerprint sensor, it is compatible with the payment system Apple Pay and besides that adds functionality “Hey Siri” which lets you talk to the famous virtual assistant without being required you press a button. “Some people like smaller phones,” Greg Joswiak recognized during the presentation of the new model. Apple sold 30 million units with 4-inch screens last 2015, although sales have been somewhat slower in recent months, compared to the rest of the smartphone market. Some experts suggest that the key to this bet Apple has in that part of iPhone users smaller previous models, prefer to keep these rather than switch to another with a larger screen. Jan Dawson, who works for the consulting Jackdaw Research said, “The biggest iPhone are still sold in large quantities, but there is evidence that some people who have small iPhone instead keep them moving to a bigger one” . The new model will be available in the Apple space gray, silver, gold and rose gold, as the latest models of the company. This will create the user has the feeling that one of the products of the highest range, only smaller.